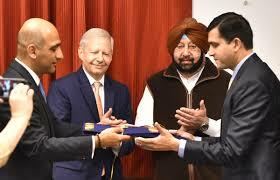 Chandigarh: The Punjab government Monday signed an MoU with a Delhi-based company for a Rs 630-crore project which will produce biofuel from rice husk. The company, Virgo Corporation, will use the technology to produce biofuel from rice husk to set up a rapid thermal processing plant, which will provide over 150 direct and 500 indirect jobs, an official spokesperson said. 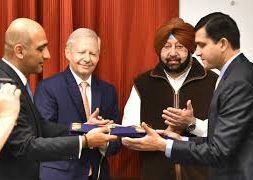 The memorandum of understanding (MoU) was signed in the presence of Chief Minister Amarinder Singh and US Ambassador to India Kenneth I Juster. The project would go a long way in containing environmental pollution due to stubble burning, besides supplementing the income of farmers by helping turn the unmanageable agro-waste into raw material for producing biofuel, Singh said. Besides incentivising farmers to sell their crop stubble in lieu of burning it, the project would support the government’s requirements for national biofuel blending targets as well as important air quality initiatives, such as the National Clean Air Programme (NCAP), said the CM. next In the matter of: Rajasthan Electricity Regulatory Commission (Power Purchase & Procurement Process of Distribution Licensees) (Fifth Amendment) Regulations, 2018.